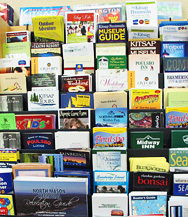 There are a variety of ways to arrive to and get around the Kitsap Peninsula. A tourist favorite is to ride aboard the beautiful WA State Ferries. If you are driving or arriving via the Seattle-Tacoma International Airport south of Seattle, you can drive, catch a shuttle or bike across the impressive Tacoma Narrows Bridge. 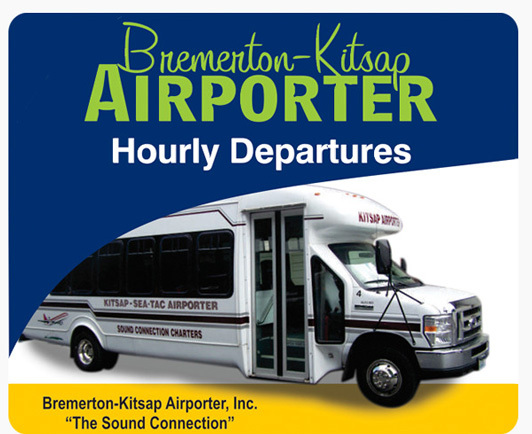 You also can fly in via the Bremerton National Airport. Below is information about a few transportation services available. Use the Search Transportation filter to look for other options. 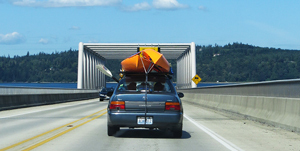 Check traffic conditions on state highways at WSDOT Traffic Alerts and locally at Kitsap County Public Works - Road Reports. General traffic Conditons: Kitsap County Public Works Road Reports. 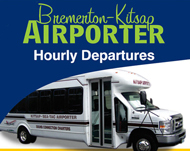 The Bremerton-Kitsap Airporter provides hourly departures. Use the Transportation Search for other options, including, taxis, tour and charter services. Kitsap Transit's bus sevice meets each ferry and offers public transportation throughout the area with connections to the Olympic Peninsula via Jefferson Transit. For seniors and people with disabilities, Kitsap Transit Access provides another option. If you are arriving via the Seattle-Tacoma International Airport, it's about a 30-minute ride to the Tacoma Narrows Bridge, which leads to the Kitsap Peninsula. You can rent a car, use a shuttle or other charter service. 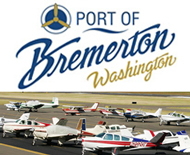 The region also is served by two smaller airports: the Bremerton National Airport and the Tacoma Narrows Airport. A tourist favorite! There are four Washington State Ferries terminals that transport travelers to and from the Kitsap Peninsula: Kingston, Bainbridge Island, Bremerton and Southworth.For a complete list of schedules, rates and ferry cameras, visit the Washington State Ferries website. 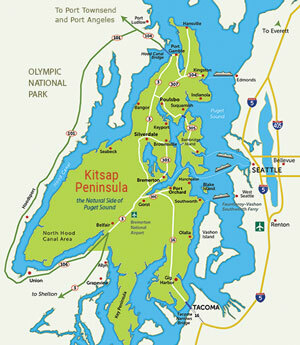 The Kitsap Peninsula is accessible from the Olympic Peninsula (northwest) via the Hood Canal Bridge, from Shelton (southwest) via HWY 3 and from Tacoma (south) via HWY 16 and the Tacoma Narrows Bridge. Traffic updates and web cams are available on the sites for WSDOT, Hood Canal and Tacoma Narrows.